Peter have you a list of potential rediscovered tv appearances? “Considering I once said I couldn't make this film because there wasn't enough material, we have found a surprising wealth of new things.” Francis Whately is discussing the third in his series of David Bowie documentaries for the BBC. While his previous films have focused on Bowie's '70s heyday and the final years of his life, David Bowie: The First Five Years is a document of the pre-fame years, starting in 1966 when Bowie legally changed his name from Jones. Filmed content of this period was naturally harder to come by, though Whately does promise “extraordinary footage” of a television performance long believed wiped. To me that sounds like the missing TOTP of Space Oddity. Well we can all hope can't we? I'm laying guesses with two esteemed members of this Forum - Mike M and Kevin M - and my guess is if there is anything new it will be 'continental', i.e from Germany or the Netherlands. 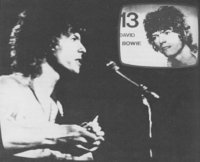 DB appeared on German and Dutch TV in the late 60's, and I've always held out hope for Bowie's appearances on 4-3-2-1 (a ZDF show) to be found. The Space Oddity TOTP would be an iconic discovery - almost as iconic as the Jean Genie - ALMOST....! Dare we hope that it's "London Bye Ta Ta" from Grampian TV or "Holy Holy" from Granada TV? IIRC Apparently filmed at Lime Grove as an insert, as Bowie had a touch of stage fright with his new found fame. It was an insert, although I read somewhere that it was due to the Director wanting Bowie to be filmed performing such an evocative and original song away from an audience. Bowiewonderworld states that DB performed the song in 'Studio G, which was separate from the main studio audience'. I have read in another book that it was at the request of Bowie's then manager Kenneth Pitt. ('the Complete David Bowie', Nicholas Pegg). Pitt allegedly didn't want Bowie being ignored by the studio audience who be 'less interested that seeing the artist than themselves on the studio monitor'. Bowie was apparently, according to the book, paying his Stylophone against a black background, and the performance was intercut with stock NASA footage. Again, I am just quoting a book here. I haven't even seen the stills that exist from the show, so..... I'm just stating what I've read. The Dutch "Fanclub" appearance from 16/11/1967 of "Love You Till Tuesday" or the German 19/09/1968 "We Are Hungry Men" from "4-3-2-1 Musik Fur Junge Leute" must be the most likely. Would love it to be "Can't Help Thinking About Me" from RSG March 1966 but it's just not going to be that. Now to see that would be very special! 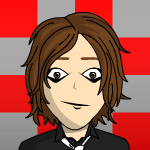 Would this be it? Sounds pretty obscure. I was under that the impression that the BBC audition material was sound only, and the reference above to it being footage is a misunderstanding by the author of that article. Although it seems that a separate early TV appearance has been found and will be in the documentary, I don't believe those 2 tracks are it. So it's footage from Lift Off with Ayesha, which is fantastic news!